How Will You Get To The 2016 International Home + Housewares Show? The 2016 International Home + Housewares Show will take place at McCormick place in Chicago from March 5th to 8th. Buyers and sellers from over 125 countries in the housewares industry will converge on greater Chicagoland to make up for one of the largest home goods trade shows in the world. If you are an exhibitor, buyer, seller, or visitor who plans to attend IHA how will you be getting there? Consider arriving by a limousine or chauffeured car. From transportation to and from O’Hare or Midway Airports to your hotel, CCL Limo has the fleet and staff to accommodate you. During your reservation, make sure to mention that you are attending the International Home + Housewares show and our customer concierge service will help you plan your transportation needs. When making your reservation also remember to mention how many people will be traveling in your party and will need convention transportation. 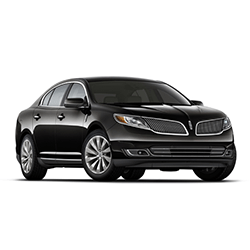 For example, if there are only two people in your party our Lincoln MKS Sedan may be a perfect fit. However, if you have a small group of 10 or 12 people then our Mercedes Benz Limo Bus would be more suitable. We truly hope that you enjoy attending the International Home + Housewares show and look forward to serving your transportation needs. To reserve a limousine or schedule a car service please call us at (800) 960-7201 or (847) 803-0000.